Why did you pick the FIRE stories you selected? I wasn't sure if there were stories that talked about the beginnings of FIRE. I knew there were ancient stories about discovering the wheel. So I went the online library and came across about 10 suitable stories. 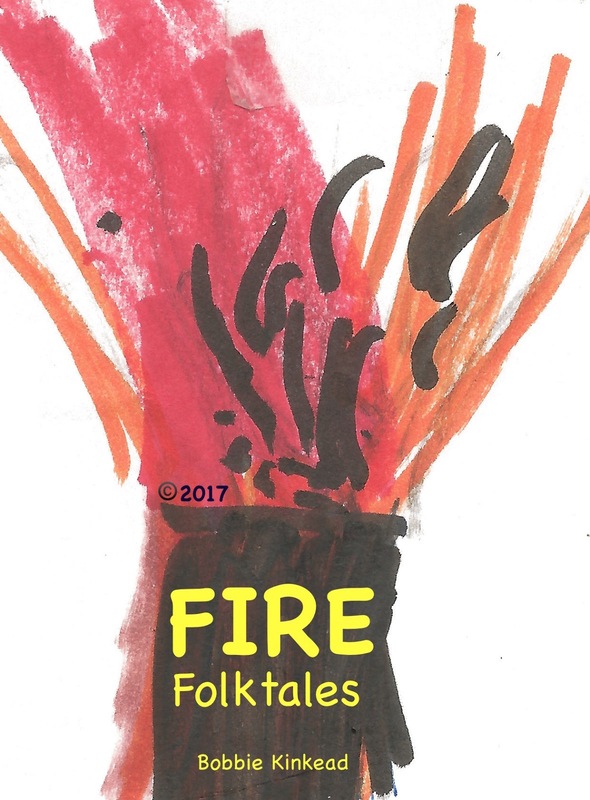 Plus, a few stories about FIRE gods: Pele and her anger, and Greek and Roman gods, and a story from South America about the god that protected FIRE in the heath. Some worked and most did not. Then I came across stories from the Native Americans about who spread FIRE: Hummingbird, Beaver, Spider, and then the Monkeys who helped a lost Hunter with FIRE. Finally, I found a warning from the bushmen God Kaang, who "If humans had FIRE no harmony would last between trees, animals, and the humans. No longer could they speak with each other." That became the premise, the theme, for the plot - the dangers of FIRE and fear in animals. And as a child, when camping we had FIRE contained in a pit, and it was dangerously hot and tried to continually escape to eat whatever FIRE could.